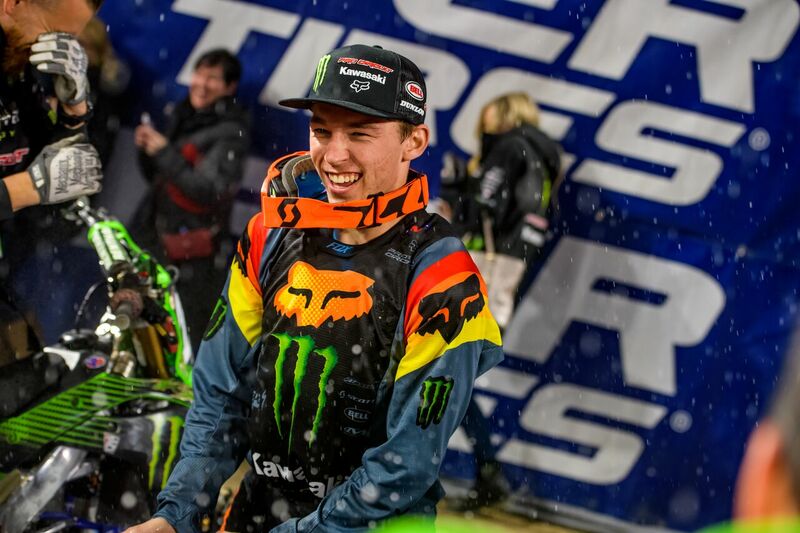 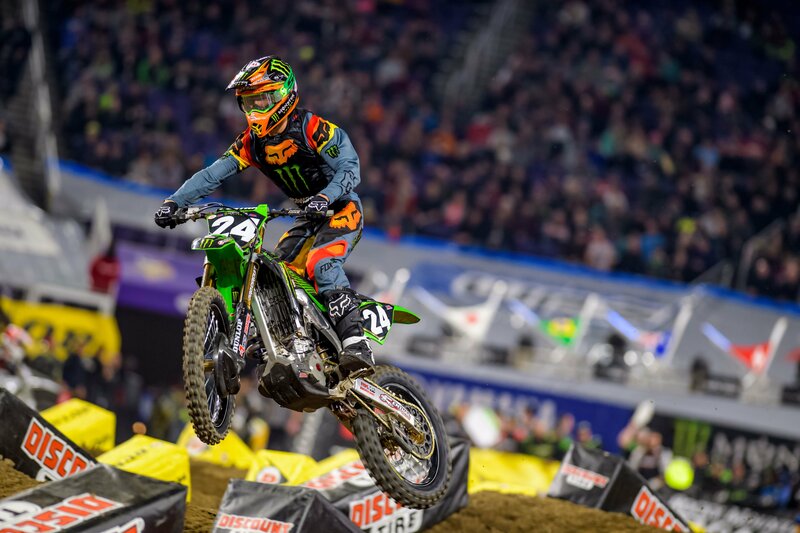 MINNEAPOLIS (February 10, 2019) – Austin Forkner brought the Monster Energy Pro Circuit Kawasaki win total to four and kept the team’s win-streak alive with a dominating victory inside U.S. Bank Stadium to kick off the Eastern Regional season. 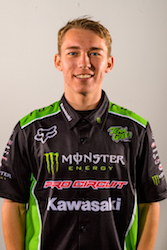 With the opening round win, Forkner holds the points lead and will showcase the first red plate of the season next weekend. 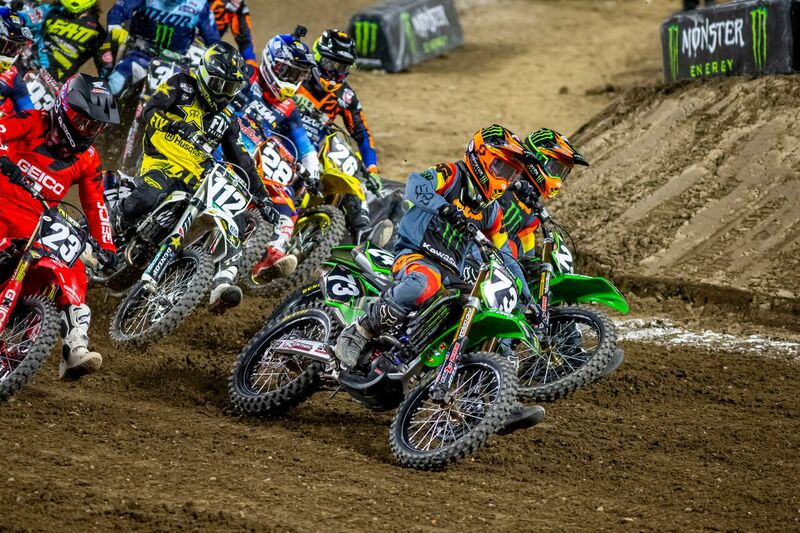 The team also holds the red plate on the west coast with Adam Cianciarulo claiming the point''s lead last weekend. 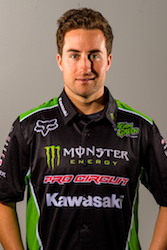 Teammate Martin Davalos had an up and down night, eventually resulting in 16th in the main event.